Epsilon Publishers has successfully completed TRACEcertification, an internationally recognised due diligence review administered by TRACE, the world’s leading anti-bribery standard setting organisation. Certification by TRACE signifies that Epsilon Publishers has completed internationally accepted due diligence procedures and has been forthcoming during the review process. TRACE is a globally recognised anti-bribery business organisation and leading provider of cost-effective third party risk management solutions. 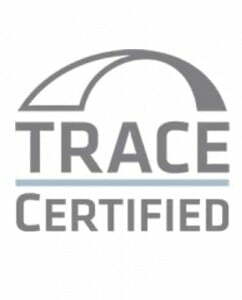 TRACE Certified companies, of which Epsilon Publishers is now one, are pre-vetted partners for multi-national companies seeking to do business with suppliers and consultants who share their commitment to commercial transparency. TRACE certification underscores our existing commitment to transparency in our operations and transactions, in light of our pledge to the United Nations Global Compact to align our operations around the four pillars of anti-corruption, human rights, labour and environment. We assure our partners, stakeholders and clients that we continue to be committed to the pursuit of our core values; to take responsibility for quality and to deliver excellence.